She celebrated the beginning of her 53rd year carefully describing her family to a census taker. Francis McCullough arrived at their farm first thing on Monday, after her birthday the Saturday before. Surely they talked about her birthday as he carefully marked her age and date of birth? 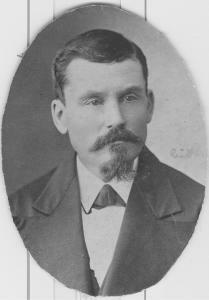 He also marked the date of his visit, April 21, 1901. A major snowstorm that weekend brought bad weather to almost the entire continent, but if Ontario was hit, no mention appears on the census. Nor is there any break between the farms surveyed. The page began with the Taylors on Thursday and continues with the Jons, the Diottes and the Birches prior to the Hurtubises. No break appears in his trip from farm to farm day by day. Unfortunately, most of the pieces of paper carefully completed by McCullough were destroyed in 1955 after the Dominion Bureau of Statistics microfilmed them. Only two remain. Sometimes guesses have to be made. Anne Joseph’s arrival in Canada, for instance, might be 1871, but the “7” isn’t clear. Luckily, her family shows up on passenger lists for that year. Her name then was Anne Josephe Gourdine. She was 22 years old. Her journey from Belgium to Canada began in a carriage. A train and boat trip also took place before she and her family caught the Scandinavian, a Montreal Ocean Steamship Company ship. Mr. Berns, Canadian Government Agent, at Antwerp, in Belgium, registered 318 emigrants for Canada during the last year. The Official Reports for the past year only mention 85…Belgium emigration to Canada is by way of Antwerp, Grimsby and Liverpool. The price of passage from Antwerp to Quebec was 160 francs. There were already passengers from Ireland onboard by the time she got on in Liverpool, England. The ship sailed on August 10, but the journey was quick. It only took two weeks to arrive in Quebec City, Quebec. Anne Josephe travelled with her family to the Parish of Sainte-Angélique in Papineauville, Quebec. That’s where she met her future husband, Damase Hurtubese. They married on May 3, 1880. They were still there, in house 229 with their 2-month old daughter Marie-Louise, when the 1881 Census taker arrived. 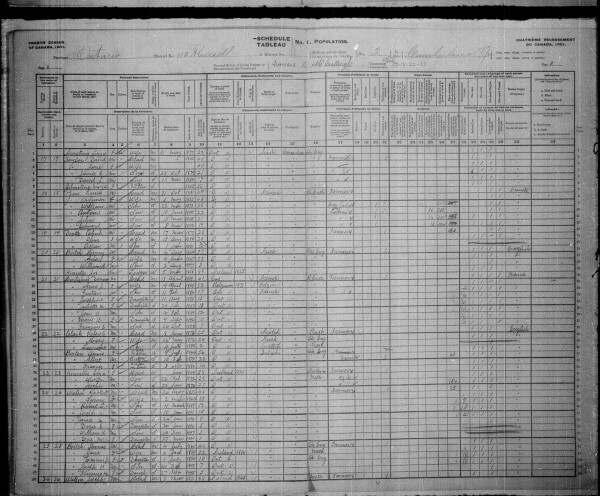 Data from the Fourth Census of Canada 1901, Cumberland, page 3 from subdistrict d2, Russell, Ontario microfilm T-6494, line 21. Passenger Lists, 1865-1922, Library and Archives Canada, list number 77. Plaque from information compiled by Paul-André Langelier in 2000. Data from the 1881 Census, Province of Quebec, County of Mattawa, p 63.